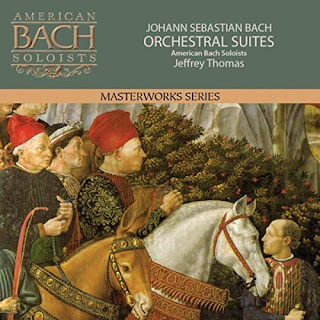 At the beginning of this year, American Bach Soloists (ABS) released the latest recording in their Masterworks Series. The album collected the four orchestral suites of Johann Sebastian Bach, BWV 1066–1069. However, the recording does not present them in “catalog order.” Instead, the order is BWV 1069 in D major, BWV 1066 in C major, BWV 1068 in D major, and BWV 1067 in B minor. The two D major suites have “trumpets and percussion” scoring with parts for three trumpets and timpani. BWV 1067 is best known for its solo flute work, while a pair of oboes provide the wind resources for BWV 1066. As of this writing, this album is available through Amazon.com but only for MP3 download. ABS has its own Web page for those who wish to purchase the recording in physical form. Bach himself titled these compositions “Overtures.” Each has an extended slow opening followed by a fast fugal section, the usually structure for for “introductory” music. The remaining movements have the titles of dance forms, which constitute the “suites.” Current thinking is that all four of these pieces were composed in Leipzig for Bach’s Collegium Musicum colleagues, suggesting that Gottfried Zimmermann’s coffee house was large enough to hold a group larger than a few players “jamming” their way through works on a chamber music scale. To be fair, however, the resources required for the orchestral suites are probably on the same scale as those that were required for The Thad Jones/Mel Lewis Orchestra, which has been performing regularly on Monday nights at the Village Vanguard since 1965 and is now known as the Vanguard Jazz Orchestra. It would not be surprising to learn that Zimmermann’s clientele was as serious about listening as Vanguard customers were. 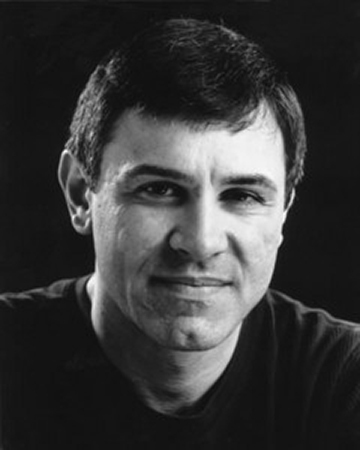 The ABS players are led by their Artistic & Music Director Jeffrey Thomas. Thomas clearly knows how to capture the spirit of dance in all of those post-overture movements; and he recognizes the characteristics that make each dance form unique. One might not be able to learn much about the specific steps, but one can definitely appreciate how each dance form establishes its own individual traits. The one exception is the presence of an Air in BWV 1068, which almost seems like a calm pause that follows the energetic fugue before the dancing gets under way. Bearing in mind that there is no shortage of recordings of these suites currently available, one can still appreciate the collegial spirit that permeates the performances on this album, even if that spirit cannot be enhanced with a cup of Zimmermann’s coffee. Early next month the San Francisco Choral Artists (SFCA), led by Artistic Director Magen Solomon, will present the second program of their 2018–2019 season. The title of the event will be Out of the Garden, Into the Woods: from Paradise to Scary. 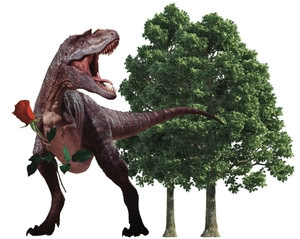 According to Solomon, the musical selections will explore “nature both tamed and wild with music of flowers, fields and forests, of birds and bees, of gentle garden creatures and lurking monsters!” (The punctuation is part of the quotation.) As usual, the program will present new works by Composer-in-Residence Jean Ahn and Composer-Not-in-Residence Robinson McClellan. It will also feature music by the winner of the New Voices Project. As might be guessed, there will be a diversity of other composers, a few of whom will be Johannes Brahms, Pyotr Ilyich Tchaikovsky, Paul Hindemith, and Benjamin Britten. The San Francisco performance of this program will take place at St. Mark’s Lutheran Church at 8 p.m. on Saturday, March 9. St. Mark’s is located at 1111 O’Farrell Street, just west of the corner of Franklin Street. Tickets are on sale at the door for $33 for general admission, $29 for seniors, and $15 for those under the age of 30, respectively. A Brown Paper Tickets event page has been created for all online purchases at a discounted rate. Last night in the Dianne and Tad Taube Atrium Theater, the Schwabacher Recital Series presented the second of the four concerts of its 2019 season. 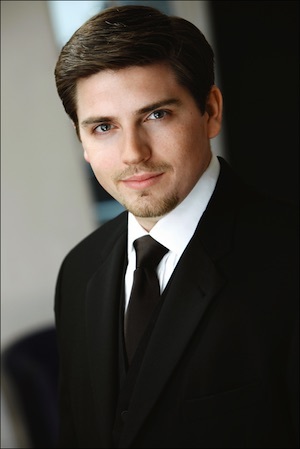 The recitalist was baritone David Pershall, an alumnus of the 2008 Merola Opera Program, who has gone on to establish himself in both the United States (including the San Francisco Opera) and Europe. His accompanist last night was pianist John Churchwell. Readers probably know that I place high value on any program that turns out to be a journey of discovery. I would hazard the guess that many in last night’s audience had not previously encountered the name of Gerald Finzi, let alone the music he composed. Pershall devoted the second half of his program to Earth and Air and Rain, Finzi’s Opus 15, a collection of ten settings of poems by Thomas Hardy composed between 1928 and 1932. Over the course of his career, Finzi wrote six song cycles based on Hardy poems; and his Opus 15 was the second of them. Reading Hardy on the printed page can be quite an adventure. His rhyme schemes tend to seek out new ways of thinking about symmetry; and, while his underlying metrical structures are straightforward, the text itself often inclines to being read as prose. The words themselves frequently suggest that the poem is about to relate a narrative, but then it emerges as multiple reflections on a single image or instant. (Cynics might accuse Hardy of having written long-winded haiku.) One way of approaching Hardy’s poems is to read them as “establishing the scene” for the imagined Wessex setting of his novels; but, as last night’s performance made clear, the texts have enough virtues to stand by themselves. The title of the cycle is Finzi’s rather than Hardy’s. Perhaps Finzi was struck by the elemental nature of many (but not all) the poems he had selected for his Opus 15. To some extent the texts reflect on relations between human nature and the elements; but those reflections emerge as individual images in each of the songs, rather than beads strung on a common thread. Ultimately, each poem captures a moment; and the essence of that moment then emerges through Finzi’s writing. Pershall seemed to be well aware of this relationship between music and words. His diction was always right on the money; but, since Hardy’s turns of phrases were not always straightforward, having a text sheet at hand was decidedly an asset. Pershall endowed each of the songs with its own unique sense of personality, but he seemed to appreciate that Finzi’s music had its own unique strategy for leading the reader on a discovery of meaning behind each of Hardy’s poems. This is not what one usually expects of a vocal recital, but Pershall’s performance left at least this listener with curiosity about Finzi’s other approaches to Hardy’s texts. All of the composers selected for the first half of the program were decidedly more familiar. Nevertheless, when compared with his piano and orchestral music, the songs of Sergei Rachmaninoff deserve more attention than they usually get, at least in this country. Pershall selected two from his Opus 14 collection and one each from Opus 21 and Opus 26. Those who know Rachmaninoff only from his symphonic side are likely to be struck by the brevity of his songs. Indeed, like Finzi (who was roughly a contemporary), Rachmaninoff knew how to capture “the moment” in the structure and delivery of a single song. Pershall clearly understood the impact of Rachmaninoff’s brevity and endowed each of the four selections with its own unique rhetorical impact. Rhetoric also figured significantly in his performance of Gustav Mahler’s Lieder eines fahrenden Gesellen (songs of a wayfarer). The chronology suggests that this cycle began in a version for voice and piano, which was then orchestrated. However, the first performance seems to have been of the orchestral version. This tends to be the way in which it is usually performed; but the piano version allows the listener to pay more attention to the words themselves, rather than the instrumental fireworks. The words are Mahler’s own, and many would probably dismiss them as being a bit much. Fortunately, Pershall knew how to avoid overplaying his hand, allowing the attentive listener to appreciate details of the relations between music and words that are often washed over by the thick orchestral contexts. The only real weakness of the program came at the beginning with a performance of An die ferne Geliebte (to the distant beloved), Ludwig van Beethoven’s Opus 98, often credited as being the first song cycle. Unfortunately, Beethoven’s vocal writing rarely rises to the level he attains in other genres. Indeed, he is at his best in presenting the cycle not as isolated songs but as a continuous unfolding of the poetic texts linked by interstitial thematic material. Pershall’s account was not particularly convincing, but there was not much need for being convinced. Overall, the recital was a richly endowed journey with any number of impressively weighty moments. One can appreciate that Pershall wanted to lighten things up a bit for his encore. Dispensing with any vestiges of formality, he launched into an impassioned account of “So in Love” from Kiss Me, Kate that could easily have brought a smile or two to Cole Porter’s face. Whether or not Pershall appreciated the many layers of parody that make Kiss Me, Kate such a delight (even after if emerged from the “Hollywood treatment”), Porter’s spirit was definitely alive and well last night; and many in the audience seemed delighted to appreciate its presence. Next month groupmuse will host another concert at Monument featuring pianist Ian Scarfe. For his Massivemuse last fall, Scarfe performed with his Vinifera Trio, which also includes violinist Rachel Patrick and clarinetist Matthew Boyles. This time he will play with the Gossamer Trio, whose other members are violinist Brynn Albanese and cellist Charles Akert. The event will be a “Classical Dance Party” entitled Beethoven and Tango in a Ginormous Artspace. The Beethoven contribution will be the Opus 38 trio in E-flat major, a reduction of Opus 20, composed as a septet. The tango music will come from Astor Piazzolla’s Estaciones Porteñas (liberally translated as “the four seasons of Buenos Aires”) in the piano trio arrangement composed by Piazzolla’s close colleague, José Bragato. Other “dance party” offerings will include Hungarian dances by Johannes Brahms and Slavonic dances by Antonín Dvořák. Monument is located in SoMa at 140 9th Street. Doors will open at 7:30 p.m. on Friday, March 22, and the music will begin at 8 p.m. Minimum payment for admission will be $10 with a $3 reservation fee. The Web page for this event includes an interactive map showing the location of the venue and a hyperlink for advance purchase of tickets. However, Web-based transactions require creating a groupmuse account, which will be password-protected. Guests are invited to bring their own drinks; and a pillow (or two) might be in order. 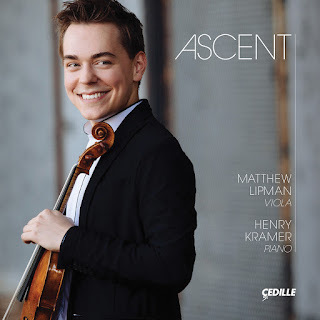 Near the beginning of this month, Cedille Records released the solo debut album of the young American violist Matthew Lipman. Back in my student days, I had a fellow undergraduate working with me at the campus radio station who liked to say that a viola was what a violin wanted to be when it grew up. Witticisms aside, I have developed a soft spot for the viola over the course of the writing I have been doing for roughly the last two decades. Much of the development was due to the many opportunities to listen to really fine viola performances by both faculty and students at the San Francisco Conservatory of Music (SFCM), not to mention encounters with new repertoire. To cite one example, one of my earliest jobs involved teaching computer science at the University of Pennsylvania. This was at a time when composer George Rochberg was on the faculty of the Penn Music Department, whose building shared a parking lot with the Engineering building that housed the Department of Computer and Information Science. Nevertheless, I never heard a note of Rochberg’s music being performed until I encountered Jodi Levitz playing his 1979 viola sonata at SFCM! These days I view every encounter with a performance, whether in concert or on recording, as an opportunity to learn more about repertoire. Ascent, the title of Lipman’s album, provided me with “first contact” experiences of unfamiliar compositions, two of which were given their world premiere recordings, and a new perspective on a piece I have come to know and love through frequent exposure over those past two decades. The fact is that only two of the selections on the album presented pieces with which I was familiar. The longest offering on the album is Robert Schumann’s Opus 113 Märchenbilder (fairy tale pictures) suite in four movements. There has been no end of speculation over what Schumann intended his title to mean. Since the titles of the movements are tempo markings that make no mention of any specific fairy tales, I have, in the past, held to the position that, if the suite is "about” anything, it is about the telling of the tales, rather than the tales themselves. Thus, each of the four movements presents a characteristic example of the rhetoric of a “narrating voice.” Furthermore, that voice frequently involves an interleaving of the viola and piano parts, rather than having the piano, performed on this album by Henry Kramer, simply accompany the viola. Indeed, the final movement marked Langsam, mit melancholischem Ausdruck (slowly, with a melancholy expression) begins with the viola line embedded between the right-hand and left-hand piano parts; and it is music that sends chills up the spine of the attentive listener. While I shall always prefer experiencing Schumann’s rhetoric in performance, rather than on recording, I was definitely impressed with how much of Schumann’s rhetoric Lipman could express on this recording. The other familiar composition on the album amounts to the “encore” selection, Franz Waxman’s “Carmen Fantasie.” This was composed for violin and piano, and my guess is that those who know this piece at all came to know it through the Jascha Heifetz recording. Lipman’s performance is identified as the first recording with the viola taking the solo line. While Lipman gave a perfectly credible account of the score, making it clear that a viola was just as capable as a violin, my own reaction was that he was a bit too cautious in his rhetoric when it was clear that Waxman had been going for flamboyance to the max. At the other end of the timeline, so to speak, Lipman’s album offers two world premiere recordings. One of these, Clarice Assad’s two-movement “Metamorfose,” was composed for him. The booklet notes for this piece are by the composer herself. She explains that Lipman approached her to write a new piece in memory of his mother. I have listened to enough of Assad’s music by now to appreciate the presence of her own personal stamp and the world view associated with that personal perspective. Thus, her program note dwells on the challenge of creating a composition based on two personalities (Lipman’s and his mother’s) distinct from her own. I clearly have no idea whether or not she successfully rose to the challenge she set for herself. What I can say is that the piece unfolds through a discursive rhetoric that is similar to what one encounters in the spirit of Schumann’s Opus 113, even if the flesh is that of an entirely different animal. Since I never really got to know the Schumann piece until I had encountered it in performances, all I can do is hope that Assad can find a platform for its performance here in San Francisco. The other world premiere involves a discovery. Dmitri Shostakovich’s Opus 33, an impromptu movement for viola and piano, only came to light from the Moscow State Archives in 2017. This was not one of the composer’s “desk drawer” pieces that had been deliberately concealed from Soviet authorities. Rather it was found among the effects of Vadim Borisovsky, violist on the Beethoven Quartet, the ensemble that premiered thirteen of the fifteen Shostakovich string quartets. The Opus 33 manuscript is dated May 2, 1931, meaning that it may well have been an “exercise on the side,” while Shostakovich was working on Lady Macbeth of the Mtsensk District, the opera that would bring about his first denunciation. It was dedicated to Alexander Mikhailovich Ryvkin, violist of the Glazunov Quartet, which premiered Shostakovich’s very first string quartet in 1938. The other two offerings on the album might be called “specialty” compositions. York Bowen wrote his Opus 58 Phantasy for viola and piano in 1918, a time when Lionel Tertis may have been the only violist (at least in the United Kingdom) to give his instrument a “public face.” Those familiar with tonal practices among British composers during the beginning of the twentieth century are likely to easily warm to both the technique and the rhetoric that Lipman brings to his performance. Bowen’s piece is nicely complemented by “Fuga libre,” composed by Irish violist Garth Knox in 2008 and first recorded on the Saltarello album that Knox recorded for ECM. Teasing out the essence of fugue in Knox’ score is no easy matter. It involves more time and concentration than tends to be required for one of the solo violin fugues composed by Johann Sebastian Bach. Nevertheless, Lipman has clearly grasped the nuts and bolts behind Knox’ polyphonic writing, meaning that seriously attentive listening will definitely be rewarded. Almost four entire CDs are devoted to operatic spectacle at its most epic. 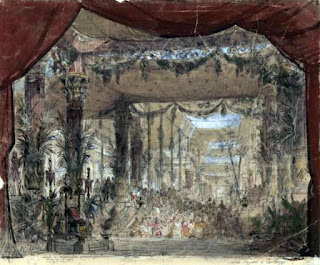 This, of course, is Hector Berlioz’ five-act opera Les Troyens (the Trojans), whose length was so imposing that the first performance presented only the last three of its five acts under the title Les Troyens à Carthage (the Trojans at Carthage). This site presented an extended discussion of this opera in November of 2017, when the Erato division of Warner released an album of the entire opera on four CDs taken from recordings made of two concert performances in the French city of Strasbourg given in April of 2017. La Nonne sanglante is one of those cases in which the backstory is more interesting than Berlioz’ music. If we are to believe what Berlioz wrote in his memoirs, he was approached by Eugène Scribe with an early sketch of a libretto resulting in a contract signed by Berlioz, Scribe, and Léon Pillet, who commissioned the work for the Paris Opera. This partnership did not take long to break down, and probably all three parties were responsible. Ultimately, Berlioz broke with Scribe; and his libretto was subsequently set to music by Charles Gounod. Personally, I came away from listening to these recordings with a sense that opera was not really in Berlioz’ comfort zone. Béatrice et Bénédict, named after the two protagonists of William Shakespeare’s Much Ado About Nothing, suggests that, while Berlioz’ relationship with Shakespearean actress Harriet Smithson was a rocky one, his love for the plays of Shakespeare, which she inspired, was an enduring one. The opera is Berlioz only venture into comedy; and, even with a conductor as informed as Nelson and a Béatrice sung by soprano Susan Graham, any sense of a light comic touch eludes almost all of the score. Benvenuto Cellini fares better; but it enjoys the advantage of familiarity among listeners familiar with not only the overture but also the Opus 9 “Le carnaval romain” (the Roman carnival) concert overture. At the end of next month, Opera Parallèle (OP) will present the world premiere of an 80-minute chamber opera, “Today it Rains,” composed by Laura Kaminsky working with a libretto by Mark Campbell and Kimberly Reed. This will be the second of the three innovative productions that OP has planned for its 2018–2019 San Francisco season. The libretto was inspired by the train ride that O’Keeffe took from New York to Santa Fe, beginning on April 29, 1929. 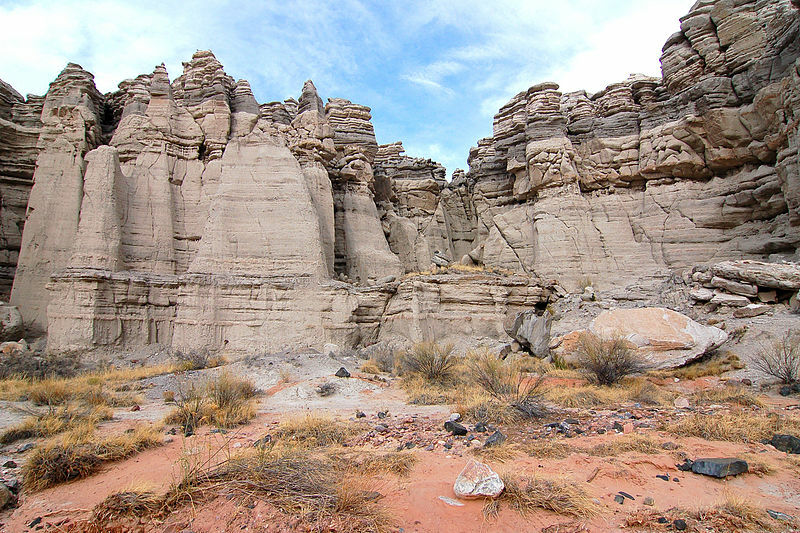 She made the trip with fellow artist Rebecca Strand, and her first encounter with the southwest desert would have a significant impact on her work for the rest of her life. The libretto imagines O’Keeffe’s personal journey over the course of that train ride, during which she reflects on her tumultuous marriage to photographer Alfred Stieglitz, her artistic stasis, and her need for new inspiration to guide her work. Staging will be by Creative Director Brian Staufenbiel. OP founder and Artistic Director Nicole Paiement will conduct a cast of eight singers and an ensemble of eleven instruments. The role of O’Keeffe will be sung by mezzo Blythe Gaissert, and soprano Marnie Breckenridge will sing her traveling companion Strand. Baritone Daniel Belcher will assume the role of Stieglitz. Vocal resources will also include and “ensemble” of four vocalists, soprano Maya Kherani, mezzo Kindra Scharich, tenor Elliott Paige, and bass Gabriel Preisser. Staufenbiel’s direction will incorporate projections designed by Reed. The theme of that installation will provide the basis for several auxiliary events. Every performance will be preceded at 6:30 p.m. by a conversation with a Creative Rebel, who will then be featured during a post-show reception including a champagne toast and a cash bar. The evening of the premiere performance will begin at 6 p.m. with a champagne toast to honor the production’s creative team. Finally, the “Georgia & the Rebels” installation will open at 6 p.m. on Wednesday, March 27. Hors d’oeuvres of New York City street food will be served, and Z Space will provide a cash bar. This will be followed by a panel discussion on the Z Space stage beginning at 7 p.m. The panelists will be moderator Bettina Aptheker, Chair of Feminist Studies the University of California at Santa Cruz, librettist Reed, choreographer Nicole Klaymoon, artist Sadie Barnette, and actor Margo Hall. At 8 p.m. the panelists will take questions from the audience, followed by a reception at 8:30 p.m.
Z Space has created a single event page for all online ticket purchases. Tickets for the world premiere of “Today it Rains” will be sold for $175 in Premium seating, $150 in Standard seating, and $125 in Select seating. Ticket prices for the remaining three performances will be $125 (Premium), $90 (Standard) and $65 (Select). Each date has a seating chart showing which tickets are available at which prices. Standard admission to the opening of “George & the Rebels” will be $30. Students with valid identification will be admitted for $20. Those purchasing tickets to the opera performance will also be admitted for $20, but that discount will be applied automatically at check-out. Next month the New Century Chamber Orchestra (NCCO) will return to the Veterans Building. Once again they will be led by Music Director Daniel Hope. This time Hope will share solo duties in a performance of a double concerto for violin, piano, and strings. His fellow soloist will be Venezuelan-American Vanessa Perez, who will be making her debut appearance with NCCO. The concerto was composed by Erwin Schulhoff in 1927, originally scored for flute, piano, string orchestra, and two horns. (A recording of that version was discussed on this site earlier this month.) Schulhoff himself was the pianist at the premiere performance in Prague on December 8 of that year. Since I have been unable to find any information about an alternative publication of violin and piano soloists, there is a good chance that Hope will simply play from the flute part in his performance with Perez. The concerto was well received, but it was banned after the 1939 Nazi occupation of Czechoslovakia solely on the grounds of the composer’s Jewish descent. Schulhoff took on a pseudonym to conceal his Jewish identity, and he petitioned for Soviet citizenship. His application was approved in 1941; but, before he could leave, the Nazis deported him to the Wülzburg concentration camp, where he died of tuberculosis on August 18, 1942. Another Czech victim of the Nazis was Hans Krása, son of a Czech father and a Jewish mother. Like fellow composers Viktor Ullmann, Pavel Haas, and Gideon Klein, Krása was deported by the Nazis to the Theresienstadt Ghetto, which served primarily as a way station for subsequent transfer. All four composers were allowed to pursue their work, providing the Nazis with a powerful propaganda instrument. Nevertheless, accommodations at Theresienstadt were never intended to be permanent; and all four composers were transferred to the Auschwitz extermination camp with the inevitable consequences. 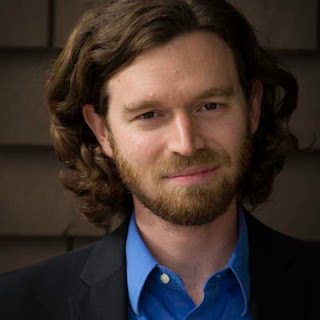 Krása will be represented on the NCCO program with a performance of the dance movement “Tanec,” originally composed for string trio in Theresienstadt in 1944. The program will conclude with another perspective on the dark days of World War II, this time a Russian point of view. NCCO will play Dmitri Shostakovich’s Opus 110a chamber symphony in C minor. This is actually an arrangement of the Opus 110 (eighth) string quartet made by Rudolf Barshai with the composer’s authorization. In the interest of shining a bit of light in the midst of all the darkness, Hope will begin each half of the program with one of Felix Mendelssohn’s string symphonies. The thirteenth in C minor will begin the program, and the tenth in B minor will follow the intermission. The San Francisco performance of this program will begin at 7:30 p.m. on Saturday, March 23. The venue will Herbst Theatre, which is located on the first floor of the Veterans Building at the southwest corner of Van Ness Avenue and McAllister Street. Prices for single tickets are $29, $49, and $61. Tickets may be purchased online through a City Box Office event page. Discounted single tickets will be available at the door, $15 for patrons under the age of 35 and $10 for students with valid identification. As in the past, there will be an Open Rehearsal. It will be held on Wednesday, March 20, beginning at 10 a.m. The venue will be Trinity+St. Peter’s Episcopal Church, located at 1620 Gough Street on the northeast corner of Bush Street. All tickets for Open Rehearsals are sold for $15, payable at the door. The full title of the latest program presented by Cappella SF, performed in San Francisco yesterday afternoon at Mission Dolores Basilica, was Unveiling: New Music from Sweden and America. The offerings included a world premiere of a work by a Swedish composer, Frederik Sixten, the final two movements of a cycle by San Francisco composer David Conte, and the United States premiere of a piece by the youngest composer on the program, Swede Jacob Mühlrad, born in 1991. The program began with the two pieces that were not premieres, the first by American Eric Whitacre and the second by Swede Carl Unander-Scharin. The most satisfying part of the program came with the completion of Conte’s cycle of four songs entitled Madrigals for the Seasons. The first two, “A Summer’s Day” and “Autumn” had been previously performed, while “Snow-flakes” and “Spring” were being given their premieres. Each madrigal set the text of a different English-language poem, two by American poets Emily Dickinson and Henry Wadsworth Longfellow and two by English poets John Clare and William Blake. Nationalities altered as the individual songs unfolded: Dickinson, Clare, Longfellow, Blake. It is worth noting that an earlier version of Madrigals for the Seasons was performed in April of last year at Conte’s Faculty Artist Series recital at the San Francisco Conservatory of Music, sung by soprano Ann Moss accompanied by pianist Steven Bailey. He is currently Composer-in-Residence for Cappella SF, and his works were featured on the Cappella SF album Facing West, which was released in June of 2016. This site has also documented Conte’s two-CD album Everyone Sang, which was released in June of last year. I offer this background as evidence that I have been listening to Conte’s setting of poetry for some time, and it may be long enough to hypothesize about his method. 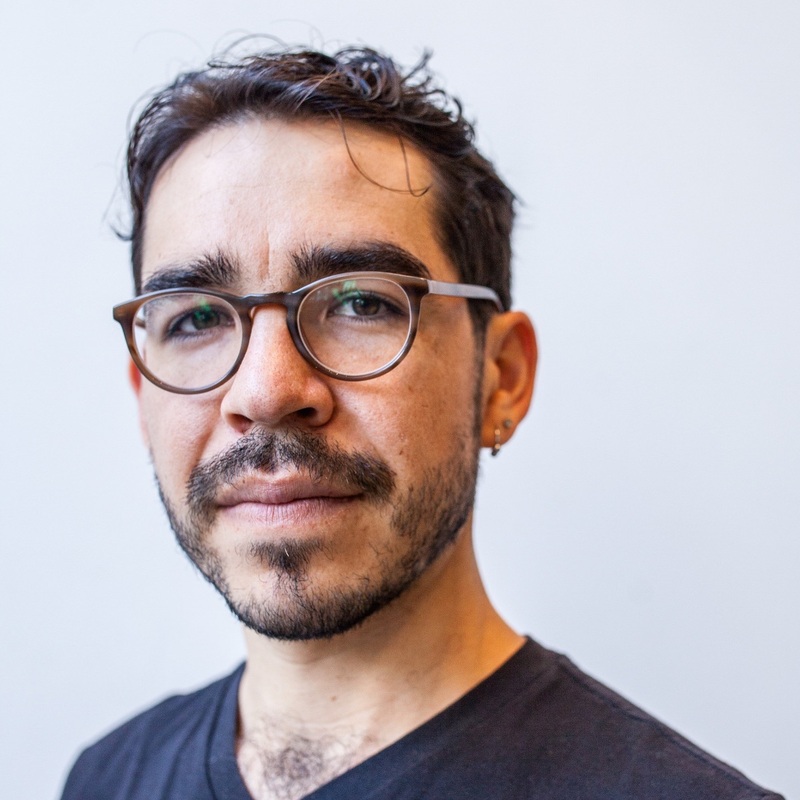 What I have discovered over the years is a consistent technique that always finds a solid account of both the semantics and the rhetoric of any poem he has chosen to set. My hypothesis is that Conte will not set a poem until he has come to know it as a poem intimately. In my book this is not just a matter of reading it on the printed page and taking in the many details associated with both meaning and structure. Rather, I feel that one does not really understood a poem until one has figured out how to read it aloud at least to one’s own satisfaction, if not that of others. Every time I listen to one of Conte’s settings of a poem, I feel as if he has already mastered a spoken delivery of that text. He can then progress with the task to transforming that spoken delivery into one that is sung. This may involve a single voice or choral resources with or without instrumental accompaniment. However, the underlying premise is that the poet has a voice behind any text (s)he has created. Finding and realizing that voice allows the poem to cross the bridge from text on a page to music in performance. From that point of view, yesterday’s performance of Madrigals for the Seasons was as impressive for the way in which it captured the distinct voices of four different poets as it was in disclosing the distinctions across the four seasons. Sadly, it did not seem as if any of the other composers on yesterday’s program shared Conte’s approach to acquiring and disclosing insights of the texts revealed through the music. Eric Whitacre’s setting of a single verse from the Second Book of Samuel, describing David’s reaction to the death of Absalom, was aggravatingly tedious. Granted, this is a moment of intense grief. However, Whitacre tried to portray that grief through repetition so excessive as to recall Hamlet’s cautionary remark on the danger of trying to “out-Herod Herod.” Similar detachment from Biblical text could be found in Fredrik Sixten’s “Seek Him!,” joining one verse from Amos with one from the Psalms. More perplexing was Unander-Scharin’s single-movement motet “Djupt under dagens yta” (deep under the surface of the day). This was a setting of a Swedish text by Olov Hartman with a rich and passionate theological subtext. The motet was sung in Swedish; and both Swedish and English texts were included in the program book. Unfortunately, the two versions were presented in succession, rather than beside each other in parallel. Thus, even those with a keen ear for Swedish phonology were at a disadvantage when it came to aligning the Swedish words with the English ones. and their words to the end of time. He then takes this second version as a launching pad for what might best be described as a phonological romp. This begins with a Hebrew version of the first of the two lines followed by verbal deliveries of the word “time” in 27 different languages. All those utterances reveal themselves as faintly discerned objects in an auditory landscape obscured by an intense fog. The best an attentive listener can do is appreciate the thickness of texture, but the linguistic threads from which that texture is woven are so obscured as to make all of those sophisticated lexical details little more than gratuitous preening. At the end of the day, “Time” emerges as an intellectual exercise that probably looks very good on paper. However, as Conte has consistently demonstrated, the journey from marks on paper to sounds that strike the ear is neither straightforward nor simple. “Time” is so obsessively focused on playing with its phonemes that neither the ear nor the mind behind the ear seem to hold very much currency for the composer. Last night’s performance may have gone so far as to raise the question as to whether the composer actually attached any significance to attentive listening. The program concluded with a single encore selection. This was a choral arrangement of the BWV 508 “Bist du bei mir” (if you are with me). This is one of the entries in the 1725 Notebook for Anna Magdalena Bach. Like many of the other entries, the music is not by Johann Sebastian Bach. Rather it is an aria from Gottfried Heinrich Stölzel's opera Diomedes. The name of the composer of the choral arrangement did not sustain the distance of the length of Mission Dolores Basilica! At the beginning of this month, Carus-Verlag released the nineteenth volume in Hans-Christoph’s Rademann’s project to record the complete works of Heinrich Schütz. According to the accompanying booklet, this is the project’s final volume. Thus, since 2006 when the project was launched, a total of 26 CDs have been released, accounting for the fact that some of the volumes consist of more than one disc. When compared with the complete works of Johann Sebastian Bach (or even just the sacred music), this makes for a relatively modest collection; but it is still an impressive achievement in its own right. Indeed, Bach was influenced by Schütz; but of much greater interest is the fact that, thanks to the inflation of religious conflicts into military ones, as both student and practitioner Schütz was equally at home in Dresden and Venice. 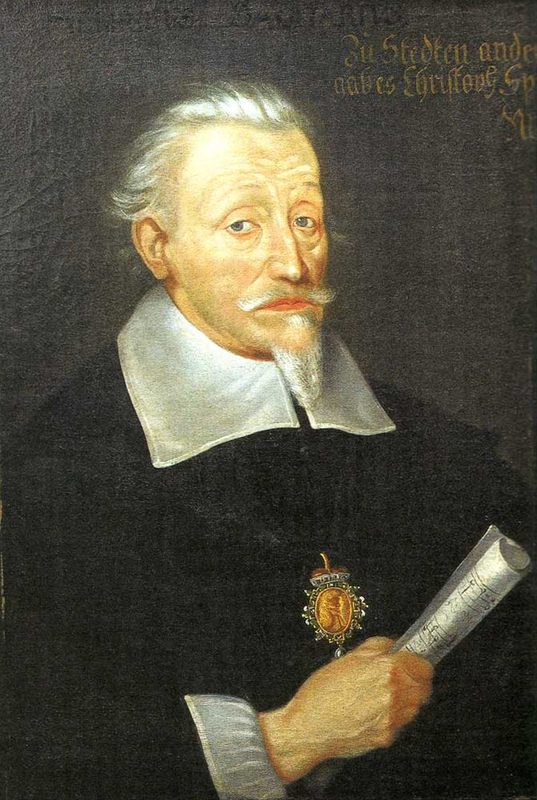 Schütz first visited Venice to study with Giovanni Gabrieli; but the city would later provide him with refuge from the Thirty Years’ War in a setting in which he could work with Claudio Monteverdi as a colleague. The title of the final volume is Madrigale & Hochzeitsmusiken (madrigals and wedding music). This is not the title of a publication by either Schütz or any of his contemporaries. Indeed, a scan of the track listings shows that the SWV (Schütz-Werke-Verzeichnis) catalog numbers are not consecutive. Basically, these are madrigal-style compositions, some of which are suitable for nuptial ceremonies conducted in the church while others were probably intended for more secular festivities. Thus, the text sources are drawn not only from the Book of Psalms and the Song of Songs but also from German poets of the time, such as Martin Opitz. Furthermore, two of the selections are being recorded for the very first time: SWV 459, “Saget den Gästen” (“Tell them which are bidden,” King James Bible translation from the Gospel of Matthew) and SWV 474, “Ach, wie soll ich doch in Freuden leben” (“Ah, how should I live in happiness,” unknown source). The resources for this final recording include six vocal soloists joined by the Dresdner Kammerchor, which Rademann founded in 1985. There is a rich variety of instrumental resources, which seem to be deployed according to the instrumentation found in the eighteen-volume edition of Schütz’ complete works published by Breitkopf & Härtel between 1885 and 1927 and edited by Philipp Spitta, Arnold Schering, and Heinrich Spitta. For the most part these selections have the intimacy of chamber music, although SWV 474 requires three instrumental choirs (lutes, three viols, and three trombones), as well as cornett, violin, and continuo accompanying two tenors and one baritone. All of the compositions are relatively brief, making the entire album a thoroughly diverse and engaging journey. Next month, in addition to partnering with the San Francisco Performances Guitar Series to present Pablo Sáinz Villegas’ tribute concert for the 125th anniversary of the birth of Andrés Segovia, the Dynamite Guitars series presented by the Omni Foundation for the Performing Arts will host the San Francisco debut of young Korean guitarist Kyuhee Park. Park was born in 1985 and began her guitar studies at the age of three. By the time she was nine, she had won the First Prize in the Youth Division of the National Korean Guitar Competition. 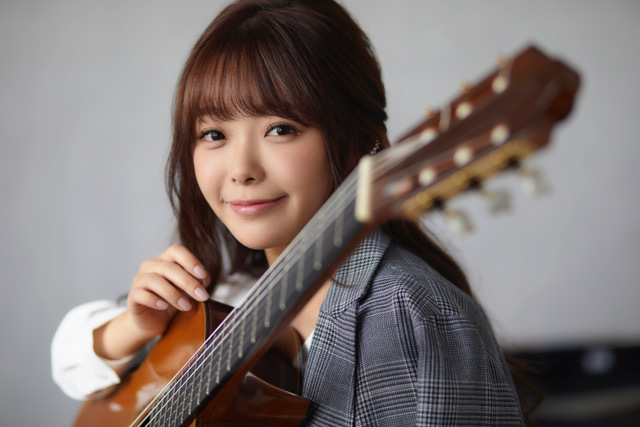 Specializing in classical guitar, she entered the Tokyo College of Music in 2004. While there, she participated in an opera tour conducted by Seiji Ozawa. Her studies then took her to the University of Music and Performing Arts in Vienna, as well as post-graduate work at the University of Alicante in Spain. To date she has released six recordings, two on the Japanese Fontec label and four on Nippon Columbia (distributed in the United States by the Warner Music Group). Park’s recital will take place at 7:30 p.m. on Saturday, March 16. Program details have not yet been announced. The venue will be St. Mark’s Lutheran Church, located at 1111 O’Farrell Street. General admission tickets are on sale for $55 for Orchestra level and $45 for the Balcony. Tickets may be purchased online in advance through a City Box Office event page. 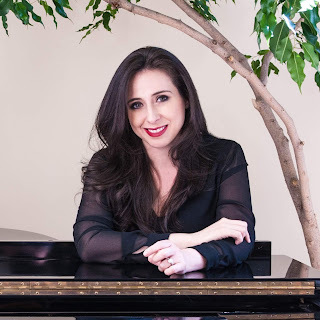 Last night in the Sol Joseph Recital Hall of the San Francisco Conservatory of Music (SFCM), the Ross McKee Foundation presented the latest installment in its Piano Talks series. The speaker/pianist for the occasion was Adam Tendler, visiting from New York. The title of the program was Role Playing; and the talking amounted to a “confession” in the sense of Augustine of Hippo or Jean-Jacques Rousseau, using autobiography to frame thoughts about the development of a belief system. In Tendler’s case, those beliefs involved his approach to the contemporary piano repertoire. Tendler began by citing the first pianist he encountered that interested him, William Kapell. Kapell was probably the first American to establish himself as a leading pianist. However, he died tragically at the age of 31 on October 29, 1953, when the flight he took to return from a tour of Australia crashed while on approach to San Francisco International Airport. It was through a Kapell recording of “Toccata Ostinato” that Tendler first learned of the composer Robert Moffat Palmer, whose music currently receives almost no attention. Tendler tried to remedy this situation by beginning his program with a performance of Palmer’s second piano sonata, composed in 1942 and revised in 1948, available only as a photocopy of the manuscript. Like the toccata, the music has this odd quality of sounding both fresh and dated at the same time; but the selection served well as an overture to Tendler’s reflections of the different roles he has played over the course of his life. Each of those roles provided the framework for a different approach to repertoire. Thus, the “Youth Roles” were represented by two short selections by Béla Bartók, reinforced by Tendler’s reflection on a desire to perform all six volumes (constituting 153 short pieces) of that composer’s pedagogical Mikrokosmos collection. Palmer and Bartók were two of the three composers represented by two selections. The third was John Cage, first with a prepared piano composition, “The Unavailable Memory of,” in the “Fledgling Roles” section and then with a performance of 4’33” associated with the time Tendler spent living in Texas. As an interlocutor, Tendler was impressive in his ability to discuss Cage while setting up the preparations of his piano at the same time. I was pleased to see that the Cage selections were complemented by the music of his youngest New York School colleague, Christian Wolff. Wolff also composed for prepared piano, but Tendler represented him with a performance of the first of two pieces called simply “For Piano.” The relationships between sound and silence in this piece, composed in 1952, provided just the right context for 4’33”, composed in the same year. Tendler could not resist citing James Pritchett’s impressively scholarly The Music of John Cage; but I still think the best way to get at this still-startling “study of silence” can be found in I-VI, the book of Cage’s Charles Eliot Norton Lectures at Harvard University, which also includes transcriptions of the Q&A sessions he held with Harvard students following each of the lectures. On the whole Tendler’s musical selections were consistently engaging, with just the right amount of diversity to sustain a full-evening recital. His spoken delivery, on the other hand, tended to ramble more than it should have done. I got the impression that Tendler was speaking spontaneously when, given the wide scope of his reflections, he could have been better rehearsed. I would also take the SFCM staff to task for dimming the lights so low as to make it difficult to read the program sheet, particularly when Tendler ventured into less familiar composers and their works. Nevertheless, there was so much to engage the attentive listener in this program that I would have no trouble experiencing its entirety a second time. At the beginning of this month, BIS Records released the third disc in its project to record the music of Gustav Mahler. Like the first two releases, this album presents a performance of a single symphony, the second (“Resurrection”) in C minor. It follows up on the release of a recording of the fifth symphony in C-sharp minor in August of 2017, followed by the recording of the sixth symphony in A minor in April of 2018. BIS launched this series in collaboration with the Minnesota Orchestra and its Music Director Osmo Vänskä. At the end of last year, Vänskä announced that he would not renew his contract when it expires in August of 2022 but would act as guest conductor. For those interested in a broader view of how this project is progressing, recordings have already been completed for the first symphony in D major, the fourth symphony in G major, and the seventh symphony in E minor. The tenth symphony in F-sharp major has been scheduled for recording this coming June, but it has not yet been announced which version will be recorded. The second is the earliest symphony in the cycle whose resources go beyond the “symphonic.” In the last of the five movements, the Minnesota Orchestra is joined by the Minnesota Chorale, prepared by Chorus-Master Kathy Saltzman Romey, and two vocal soloists, soprano Ruby Hughes and mezzo Sasha Cooke. Mahler conceived of the symphony as consisting of two parts, the first movement followed by the remaining four. The recording honors this segmentation with an extended pause between the first two movements. Similarly, the third, fourth, and fifth movements are linked by attacca transitions. The entire recording takes slightly more than 84 minutes (which, for those counting, is longer than the 75 minutes for the fifth and shorter than almost 87 minutes for the sixth). So much for the nuts and bolts. Where performance is concerned, there are several factors that matter significantly when any Mahler symphony is presented. The most important is clarity. 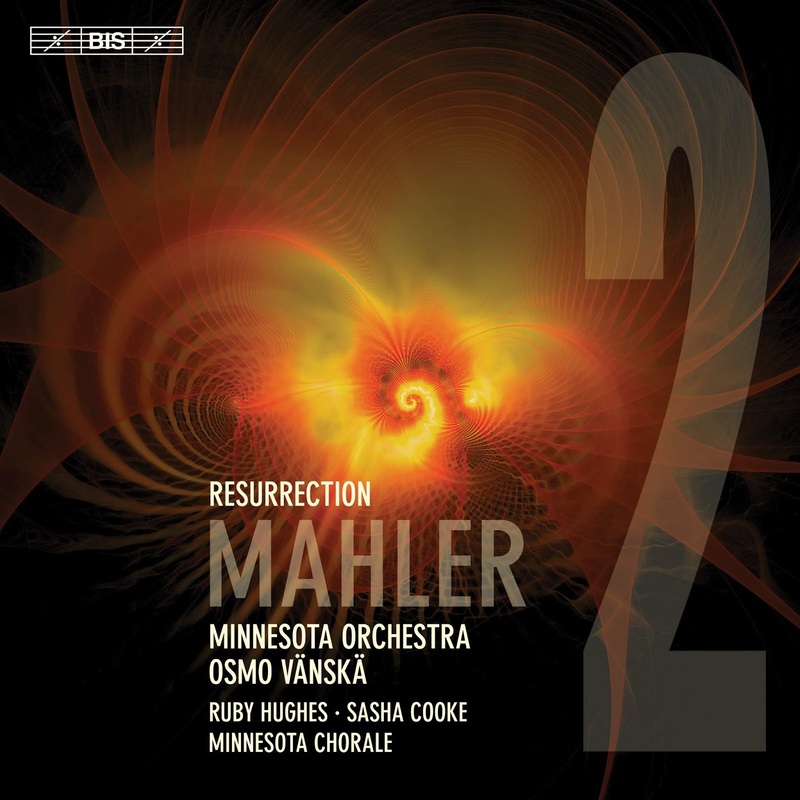 Mahler loved working with large ensembles, weaving thick textures of polyphony, often emerging from unique instrumental blends. In his many visits to the podium of the San Francisco Symphony, I have been impressed by the clarity that Vänskä brings to just about anything he performs; but, when recordings are concerned, responsibility lies as much with the production team as with the music-makers themselves. Robert Suff has been the Producer of all three of the releases now available, and the results suggest that he is as skilled at following the composer’s score as he is at monitoring all of his microphone levels. If the Devil resides in all of those details, then Suff has done a convincing job of making clear who really is the boss! Once again, this gets tricky where recording technology is involved. When listening to Vänskä in performance, I have a clear sense of where those “real” peaks are. By all rights, Suff should have the same experience when listening to a performance; and he should know those peaks well enough to make sure that they are recognized as such on a recording. 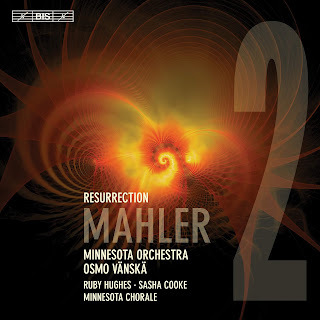 Where the Mahler second is concerned, the question of how many “real ones” need to be acknowledged (and, of course, where they are in the score) is particularly challenging and can probably allow for a variety of different conducting strategies. On the other hand, I tend to doubt that any recording of a “real one” is likely to make me kvell as much as when I encounter that moment in concert! Next month will see the second of the three concerts to be presented as part of The Eight, the title of the second season of Nomad Session. The title of the season refers to the performing ensemble itself, which is an octet consisting of four woodwinds (flute, oboe, clarinet, and bassoon) and four brass instruments (horn, trumpet, trombone, and tuba). The title of this second concert will be Tales for Eight. The Eight has been organized in such a way that each of its three programs will premiere a commissioned work. The composer to be featured next month will be Nick Benavides, whose Cool Grey City was premiered by Nomad Session last season. The title of this season’s premiere is “Ocho Bendiciones” (eight blessings). The composer calls this piece a folktale for wind octet and narrator; and the tale is taken from Juan B. Rael’s anthology of Spanish stories collected in the states of Colorado and New Mexico. The libretto was created by Diego Dela Rosa, and Benavides himself will narrate with Nomad Session for the premiere performance. “Ocho Bendiciones” will be the final work on the Tales for Eight program. The program will begin with Roger Zare’s “Mare Tranquillitatis,” originally composed for string orchestra and subsequently rearranged for wind ensemble. This will be followed by Malcolm Arnold’s Opus 59 collection of four dances inspired by Scottish country folk tunes and dances. This piece was originally composed for full orchestra and subsequently arranged by Kris King and Stephanie Stroud for wind octet. The remaining work on the program will be the fifth (and most familiar) in Johannes Brahms’ collection of Hungarian Dances. Nomad Session will play a new wind octet version by King. This concert will take place at the Noe Valley Ministry, beginning at 8 p.m. on Friday, March 15. The Noe Valley Ministry is located at 3021 Sanchez Street, a short walk from the 24th Street stop on the Muni J trolley line. General admission for all concerts in the season will be $25. Students with appropriate identification will be admitted for $5. A Eventbrite Web page has been created for advance general admission ticket purchases. Last night at Z Space, Earplay in partnership with RealOpera presented the world premiere of Howards End, America. As might be guessed from the title, the three-act opera is a reconception of E. M. Forster’s novel Howards End, translating the narrative from England at the beginning of the twentieth century to the United States in the middle of that same century. Howards End, America is the seventh collaboration of composer Allen Shearer and librettist Claudia Stevens. As is the case with any novel that manages to survive through future generations of readers, there are a variety of ways to interpret the plot of Howards End. The opera’s libretto suggests that Stevens read the book as an impassioned critique of British class consciousness, expressed through the dark consequences that ensue. Transplanting Forster’s settings to Boston in the Fifties was definitely an inspired move on Stevens’ part. World War II may have equalized those in the trenches, but those who lived in and around Boston came home to class distinctions that were as sharp as they were before Adolf Hitler rose to power. As a result, the upper-class Wilcox family transplants easily into the world of the Boston Brahmins, while the poverty-stricken Basts inhabit a world all but entirely unknown to those Brahmins. By casting them as blacks, Stevens underscored that distance by suggesting that the Basts were, for all intents and purposes, “invisible,” thus evoking the spirit of Ralph Ellison’s 1952 novel. Between these two extremes are situated the intellectual Schlegel sisters (brother Tibby does not make it into the libretto), clearly right at home in a metropolitan area that abounds with institutions of higher learning. John Cage used to enjoy citing a Zen proverb to the effect that trying to change the world only makes matters worse. That proverb could early be the model of Forster’s novel; and it thrives just as heartily in Stevens’ libretto. Sadly, however, that is the best that can be said of the entire opera. The text never successfully cuts to the core of the characters in these three social strata; and, because the characters themselves are so inadequately realized, one never grasps the dire implications that arise through their many encounters with each other. Instead, the text plods through a tedious account of this-happened-and-then-that-happened that always seems to miss out on critical aspects of personality types and the contextual settings in which they are embedded. Just as sadly, Shearer’s score never compensates for the weaknesses of the libretto. Indeed, more often than not, the music seems to serve little purpose than to provide a platform upon which the words may be declaimed. Ironically, music figures significantly in both Forster’s novel and Stevens’ libretto. The opera begins with both Leonard Bast and Helen Schlegel leaving Symphony Hall, where Ludwig van Beethoven’s Opus 125 (“Choral”) symphony in D minor has just been performed. Later on we learn that Jacky Bast used to be a successful jazz singer, now fallen on hard times, probably a victim of the addictions that plagued Billie Holiday. Sadly, Shearer never seems to have developed an ear for jazz as it was practiced in the Fifties, while the Beethoven quotes come across as gratuitous, rather than as signposts along the path of the narrative. Many of these weaknesses probably could have been overcome, or at least muted, by perceptive stage direction. Sadly, Philip Lowery’s efforts lacked that perception. Thus, while the class distinctions were clear, through Lowery’s direction they came through as little more than cardboard stereotypes. Indeed, there were times when characters like both Schlegel sisters (Sara Duchovnay as Helen and Nikki Einfeld as Margaret) and the young Charles Wilcox (Daniel Cilli) were so exaggerated as to be absurd. Only Philip Skinner managed to capture the helplessness of Henry Wilcox as he realizes that he is drawn into complexities from which he had assumed he would be immune. Furthermore, Skinner was not afraid to own up to the fact that, at the very end of the tale, his character is as clueless as he was at the beginning. Mind you, trying to translate as sophisticated a narrative as Forster had conceived into opera was clearly an ambitious undertaking; but last night that ambition needed to be made of sterner stuff. 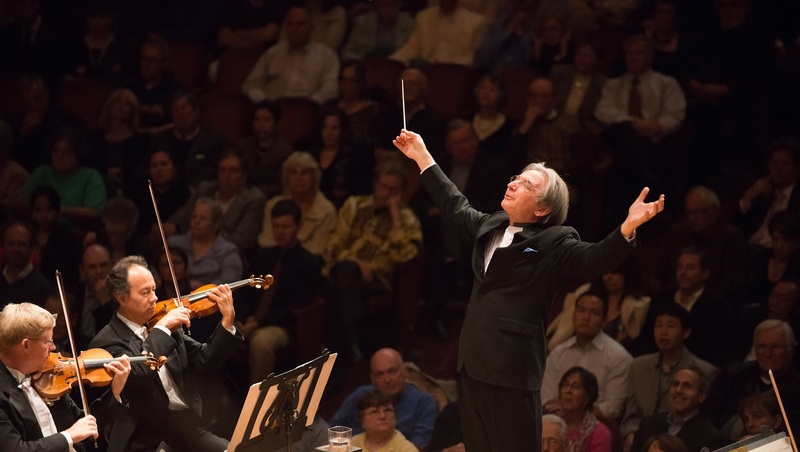 Next month Music Director Michael Tilson Thomas (MTT) and the San Francisco Symphony will embark on their final national tour together before MTT concludes his 25-year tenure. The tour will run from March 19 to March 29, taking in eight cities across the United States with performances at Benaroya Hall in Seattle, Washington (March 19), Hertzberg Hall in Kansas City, Missouri (March 21), the Kennedy Center in Washington, D.C. (March 23), Symphony Hall in Boston, Massachusetts (March 24), Orchestra Hall in Chicago, Illinois (March 26), the Krannert Center in Champaign, Illinois (March 27), the Lied Center in Lincoln, Nebraska (March 28), and the Iowa State Center in Ames, Iowa (March 29). Violinist Christian Tetzlaff will tour with SFS between March 19 and March 26; and violinist Alexander Kerr will perform at the remaining concerts on March 27, 28, and 29. As in the past, SFS will precede the tour with a subscription offering that will preview three of the pieces to be performed during the tour. The program will follow the usual overture-concerto-symphony format. Tetzlaff will be the soloist in a performance of Wolfgang Amadeus Mozart’s K. 216 (third) violin concerto in G major. This will be preceded by the orchestral version of Maurice Ravel’s suite Le Tombeau de Couperin. The second half of the program will be devoted entirely to Jean Sibelius’ Opus 43 (second) symphony in D major. This program will be given four performances in Davies Symphony Hall, at 8 p.m. on Thursday, March 14, Friday, March 15, and Saturday, March 16, and at 2 p.m. on Sunday, March 17. There will be an Inside Music talk given by Elizabeth Seitz that will begin one hour before the performance. Doors to the Davies lobbies open fifteen minutes before the talk begins. Ticket prices range from $20 to $165. They may be purchased online through the event page for this program on the SFS Web site, by calling 415-864-6000, or by visiting the Davies Box Office, whose entrance is on the south side of Grove Street between Van Ness Avenue and Franklin Street. The Box Office is open from 10 a.m. to 6 p.m., Monday through Friday, from noon to 6 p.m. on Saturday, and two hours prior to Sunday performances. The event page also has sound clips from previous SFS performances of the Sibelius symphony, as well as KDFC’s Rik Malone’s podcast about the symphony. Flash must be enabled for both streamed content and online ticket purchases. This past November Australia-based Iluso Records released the latest album of new jazz by Josh Sinton, who alternates between baritone saxophone and bass clarinet. The title of the album is one of those exercises in prankish long-windedness: making bones, taking draughts, bearing unstable millstones pridefully, idiotically, prosaically. 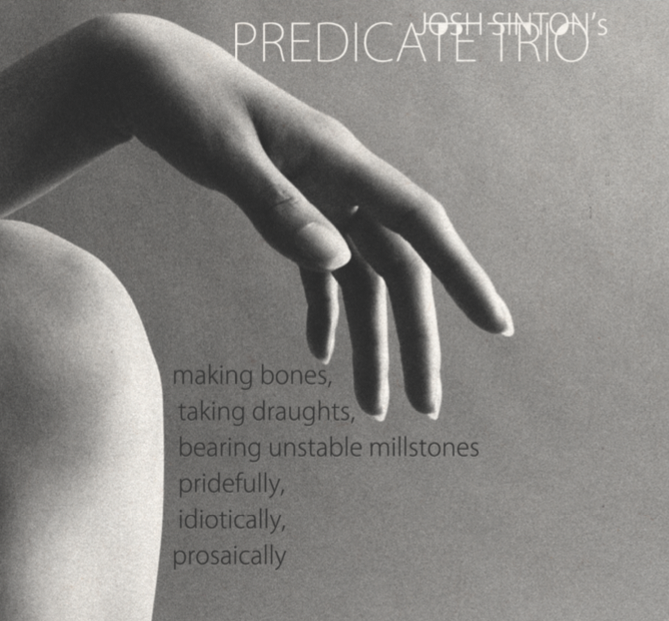 Sinton leads a newly-formed group called the Predicate Trio. He is joined in his adventures in the lower register by cellist Christopher Hoffman, and the two of them are joined by Tom Rainey on drums. This is yet another album that Amazon.com has yet to discover, but bandcamp has created a Web page for purchasing both physical and digital versions of the album. Regular readers probably know that I am a sucker for low-register sonorities, having written a piece about the saxophone-bassoon Post-Haste Reed Duo about a week ago. However, the Bay Area has been somewhat of a hotbed for groups that prefer such sonorities. Back in 1996 Cornelius Boots began building up repertoire for a quartet of bass clarinets called Edmund Wells; and two members of that quartet, Jeff Anderle and Jonathan Russell, went on to form a bass clarinet duo onomatopoeically-named Sqwonk. (Anderle also plays bass clarinet in a quintet called Splinter Reeds.) In addition Beth Custer leads a quartet of clarinets of all imaginable sizes called Clarinet Thing; and, of course, when we depart from the recent past in the Bay Area, it is hard to overlook the breadth of clarinet sizes that were mastered by Anthony Braxton. This is not to diminish the significance of Sinton’s recent work; but it would be unfair for me to avoid “coming clean” with the disclaimer that I have made many of my own bones, so to speak, as a writer through listening to low-register instruments, particularly those in the reed family. As a result, most of the idioms and gestures that the Predicate Trio brings to Sinton’s pieces are more familiar to me than they probably will be to many other listeners. Beyond invention itself, however, I have to say that I am more than satisfied with the technique that all three players bring to this recording. Most important is how Rainey comes up with just the right eccentric rhythms to keep up with the irregular melismata that emerge from both of Sinton’s instruments. If I have any regret, it is that Hoffman’s cello work did not spend more time in the foreground, rather than providing rhythm in the background. Last night pianist Garrick Ohlsson returned to Herbst Theatre to make his sixth appearance presented by San Francisco Performances (SFP) as part of their 2018–1019 Piano Series. 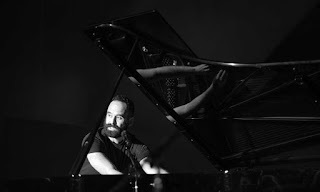 His last SFP concerts took place during the 2014–2015 season. He devoted two solo recitals to the music of Alexander Scriabin and structured his programs around an account of that composer’s ten sonatas. This season he has again planned two recitals, both devoted this time to Johannes Brahms. Like Scriabin, Brahms composed far more piano music than could fit comfortably into only two concert programs. For his SFP recitals, Ohlsson has chosen to focus on collections of short pieces from different periods of Brahms’ life and variations compositions. I have found it useful to think of Brahms’ biography in terms of three periods separated by two key events, his first encounter with Robert Schumann in Düsseldorf in 1853 and his decision to move to Vienna in 1863. Last night’s program presented only one “Viennese” composition, the Opus 76 collection of eight pieces. All the other works came from his time with the Schumann family and were probably promoted by Clara Schumann in the recital performances she gave. The least familiar sections were the two sets of variations published together as Opus 21. The first of these was a set of eleven variations on an original theme, completed in 1857; and the second consisted of thirteen variations on a Hungarian song, completed in 1854. These both involve relatively brief themes; and the Hungarian song goes by like lightning, usually lasting about a quarter of a minute. As might be expected, the variations themselves are similarly brief. Ohlsson thus concentrated more on the flow of the overall composition than on the individual variations themselves. It was interesting to see how Ohlsson used his body language to discourage applause after the first set of variations. This perplexed me a bit, given how different the two collections were; but I think his objective was to play all of Opus 21 as if it were an integrated piece, a sonata without sonata form, so to speak. Because of the brevity of both themes, each set involved an almost seamless flow from one variation to the next. To my ears this reinforced the idea that each set constituted an uninterrupted movement; and, since both sets of variations are in D major, the idea of their establishing two complementary sonata movements stands somewhat as a reflection on sonata practices prior to the beginning of the Classical period. This was my first encounter with Opus 21 in performance; and Ohlsson could not have made a better case that these pieces deserve more attention, perhaps always in the “coupled” form in which they were published. While Clara was familiar with the Opus 35 set of variations on Niccolò Paganini’s 24th caprice for solo violin in A minor, she supposedly called the piece Hexenvariationen (witch’s variations) due to its devilish difficulty. The source theme, of course, had its own “diabolical” reputation; and Brahms actually composed the variations for piano virtuoso Carl Tausig. Opus 35 was structured in two books, each consisting of fourteen variations; and Ohlsson performed only the first book. Here again, however, one could appreciate the intense impact of the individual brevity of each variation and a sense of flow that endows the entire book with the spirit (if not the letter) of a well-integrated sonata movement. The other “Schumann period” piece that Ohlsson performed was the Opus 10 collection of four ballades, completed in 1854. Like Schumann, Brahms was a great admirer of the music of Frédéric Chopin; so it is probably no coincidence that the number of pieces collected in Opus 10 is four. However, each of these is decidedly shorter than any of the four Chopin ballades; and, if they reflect on Chopin at all, it is through rhetorical expressiveness, rather than structure. On the other hand, Chopin’s ballades were published separately, completed between 1835 and 1843, while Brahms’ ballades all reside under one roof, so to speak. It is therefore interesting to see the progression of their respective keys: D minor, D major, B minor (relative minor of D major), and B major. Mind you, Ohlsson did not approach Opus 10 with the same sense of integration that conjoined the two Opus 21 sets of variations; but there was still some impression that Brahms, who had already composed three piano sonatas, may have been guided by a unifying architectural objective. The one “Viennese” composition on the program was the opening selection, the eight pieces collected in Opus 76. These involve alternation of capriccio and intermezzo forms through a “progression” of key signatures that “migrate” from F-sharp minor to C major. Completed in 1878, this marked the beginning of a genre of collections that Brahms called simply “pieces.” There are any number of ways that one might imagine an overall plan to Opus 76; but it can just as easily be the case that Opus 76 constituted a “laboratory notebook” from Brahms’ “experiments” in the expressiveness of short forms. There was certainly no shortage of expressiveness in Ohlsson’s performances; but, in this case, he seemed more focused on the individuality of each piece rather than a “greater plan” for Opus 76 as a whole. Ohlsson took only one encore, which he used to explore Brahms’ interest in Chopin’s music. He played the seldom-performed Opus 45 prelude in C-sharp minor, published in 1841. 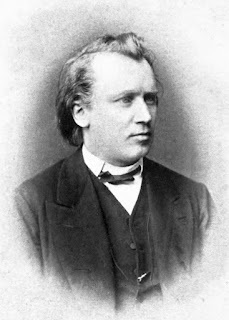 He introduced the work by describing it as “the first Brahms piece.” Given that the piece predates all of the works on last night’s program and, therefore, also Brahms’ first encounter with the Schumanns, there is some possibility that Robert’s enthusiasm for Chopin may have directed Brahms to this piece, in which case Ohlsson may have made a valid point! Taken as a whole, this was a highly satisfying evening. One could appreciate the wide diversity of expressions of individuality across the entire program. Just as important, however, was how Ohlsson always knew how to bring just the right expressive tropes to establish the individuality of each of the compositions. The appetite for more Brahms has now been convincingly whetted! At the beginning of last December, Oxford University Press (OUP) published the first book about Mahalia Jackson to appear in 25 years. 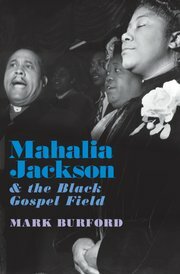 The book was written by Mark Burford, Associate Professor of Music at Reed College, with the title Mahalia Jackson and the Black Gospel Field. For the better part of the twentieth century, Jackson acquired the reputation as the “World’s Greatest Gospel Singer.” That reputation remained, for all intents and purposes, unchallenged until her death on January 27, 1972; and many would hold that the reputation is still solidly in place. Massive as that quoted phrase may be, it turns out to be an iceberg large enough to bring down the RMS Titanic. Burford’s text is positively saturated with sidebars that digress into innumerable topics that are related to the basic narrative thread but, more often than not, are expounded at such length that the reader risks losing his/her grip on that thread. (As might be guessed, these sidebars are embedded in the flow of the text, rather than allotted a suitable place “on the sidelines.”) As a result, there is so much density of content and so little effort to sort out primary from secondary that even the most enthusiastic reader may feel as if (s)he has been inextricably mired in quicksand. If that were not enough, it would appear that Burford cannot resist the opportunity to show off his command of academic jargon (more likely to have come from continental Europe rather than any part of the United States), leading even the most well-intentioned reader feeling as if he had been imprisoned in a graduate seminar on hermeneutics. Back in 1966 Hawthorne Press published Movin’ on up, identifying authorship as “Mahalia Jackson with Evan McLeod Wylie.” Wylie had interviewed Jackson for an article published by The Saturday Evening Post in 1959; and the book basically involves fleshing out the “skeletal structure” of that interview. When I picked up the book, I assumed that Wylie himself had done all the writing; but, on the basis of the background knowledge I had acquired (which included Burford’s book), I felt as if I was listening to Jackson’s voice while I read. What I most admired was the clarity with which that voice spoke, a great relief from Burford’s text, which, by comparison, revealed itself as ponderous academic strutting. What matters most, however, is not Jackson’s “autobiographical voice” but her singing voice. At the end of the day, Burford’s writing is too detached from the core concept of “practice” to be of any assistance to a reader interested in listening to Jackson’s recordings (or, for that matter, learning to sing black gospel music). Where the documentation of anthropological field work is concerned, the best writing can still be found in Paul Berliner’s monumental Thinking in Jazz: The Infinite Art of Improvisation, published by the University of Chicago Press in 1994. An equally satisfactory account of black gospel practices will have to wait for an author with Berliner’s skill set. Next month the Community Music Center (CMC) will present the last event in this season’s series of four Concert with Conversation offerings. 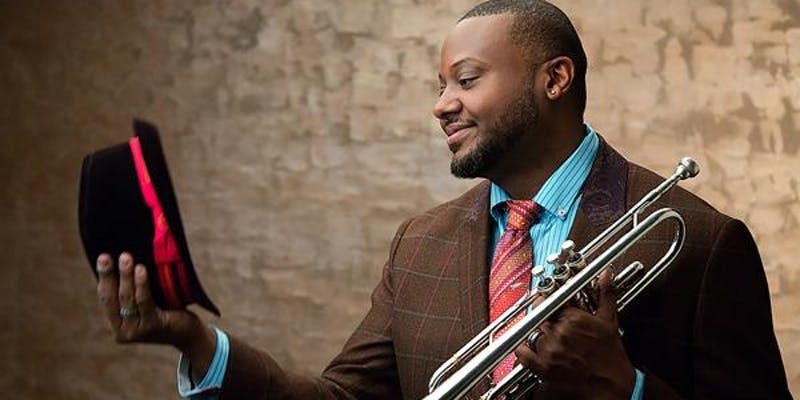 These events are produced in partnership with San Francisco Performances (SFP); and the series will conclude with jazz trumpeter Sean Jones, who is currently SFP Artist-in-Residence. He is also a member of the SFJAZZ Collective; and his SFP connection included his participation in the annual opening gala, which took place this past September. This event will begin at 6 p.m. on Friday, March 15. The venue will be the CMC Concert Hall, which is located at 544 Capp Street, between Mission Street and South Van Ness Avenue and between 20th Street and 21st Street. There is no charge for admission, and the general public is invited. However, due to the popularity of these offerings, reservations are recommended. These are being handled through an Eventbrite event page. Last night in Herbst Theatre San Francisco Performances presented the second recital in its three-concert Discovery Series. 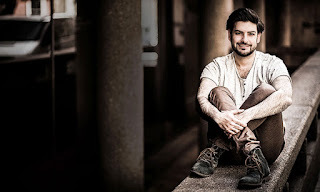 As the home page for this series observes, the series “presents artists who already have their feet firmly planted along the trail of auspicious music careers.” Last night’s recitalist was Turkish-born Austrian tenor Ilker Arcayürek; and he brought his credentials to San Francisco with a program consisting entirely of Franz Schubert’s D. 911 song cycle Winterreise (winter journey). His accompanist for this San Francisco debut performance was British pianist Simon Lepper, also making his San Francisco debut. Winterreise has no plot, no development, no rising action, and no satisfying conclusion. I would argue that this claim is a bit on the extreme side. Schubert composed D. 911 in two phases, each setting twelve poems by Wilhelm Müller; and he may not, originally, have had a “big picture” in mind. Nevertheless, a case can be made that the overall D. 911 libretto is a narrative, even if the usual components of narrative that Bromberger enumerated emerge through implication, rather than explicit declaration. As is the case with those prototypical “hero narratives” that so occupied the attention of Joseph Campbell (and his uncredited predecessor Vladimir Propp), “plot line” unfolds as a journey, exactly as Schubert’s title says. The journey begins with the departure from a town in which the protagonist is a stranger, who leaves as a result of some unidentified loss (the first verse suggesting the loss was an amorous one). The 22 poems that follow then serve as way stations on that journey, each of which unfolds a different phase of retrospection. Then, in the final poem, the protagonist encounters the hurdy-gurdy man, as alienated as the protagonist. Bearing in mind the impact that Campbell had on the Star Wars narrative, it is almost as if Luke has found his Yoda; but, in the overall plan of D. 911, what matters is that the discovery marks the end of the journey. Because of the way in which D. 911 was composed, there are two schools of through regarding its performance. Those who prioritize the narrative tend to present the cycle as an uninterrupted journey. Others prefer to insert a pause after the twelfth song to denote the two phases in which the music was created. Arcayürek took the former approach; and he served up a thoroughly convincing account of a tightly-integrated single narrative. One might say that the path of Schubert’s journey runs through 24 metaphors. Arcayürek clearly grasped the uniqueness of each of those metaphors and shaped his rhetoric of delivery accordingly. As a result, each song shone with its own unique qualities, while the overall expression never allowed the listener to lose sight of the overall journey path. The only weakness in the evening came from Lepper’s accompaniment. If Arcayürek brought compelling clarity to every note he sang, there were too many instances when Lepper blurred the individual notes in the more rapid passages. Lepper seemed to lose sight of the fact that Schubert’s skills in writing for the piano were as rich in logic, grammar, and rhetoric as were any of his vocal lines. Lepper’s execution felt too often as if it were buried in the marks on the paper, rather than grasping and realizing the many details that endowed this “accompaniment music” with its own unique contribution to the overall narrative.